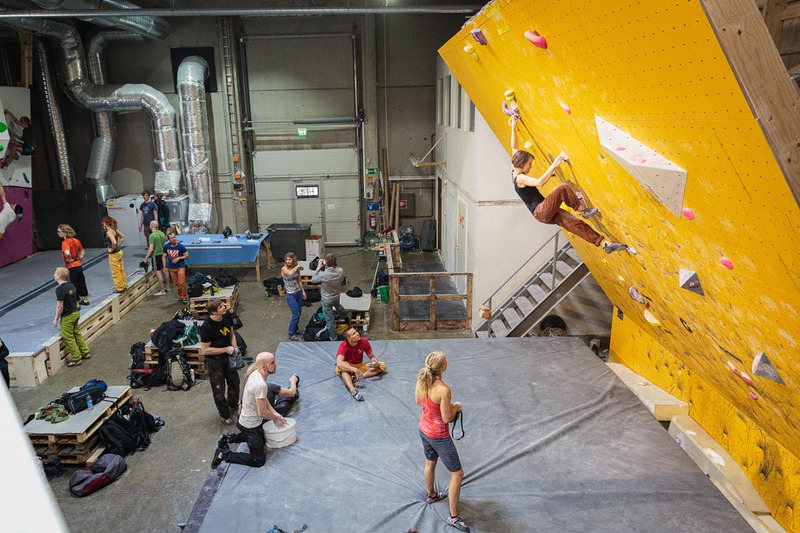 ”Well I was a bit annoyed”, starts Janne Sievänen, who runs a climbing center in Tampere. 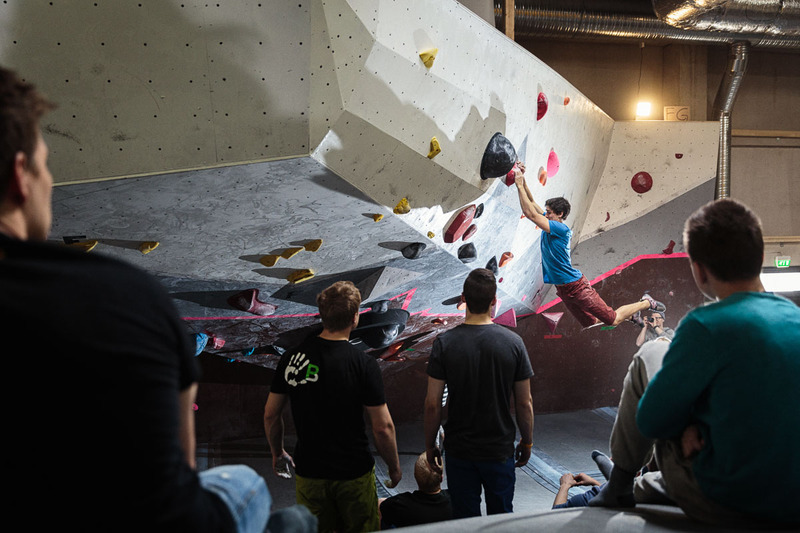 He had noted that, along with the climbing boom, there are so many gyms in Finland that the competitions everyone was organising individually had begun to overlap. First he wanted to sketch an event calendar but then came across a greater idea. ”Why not organise an entire league? 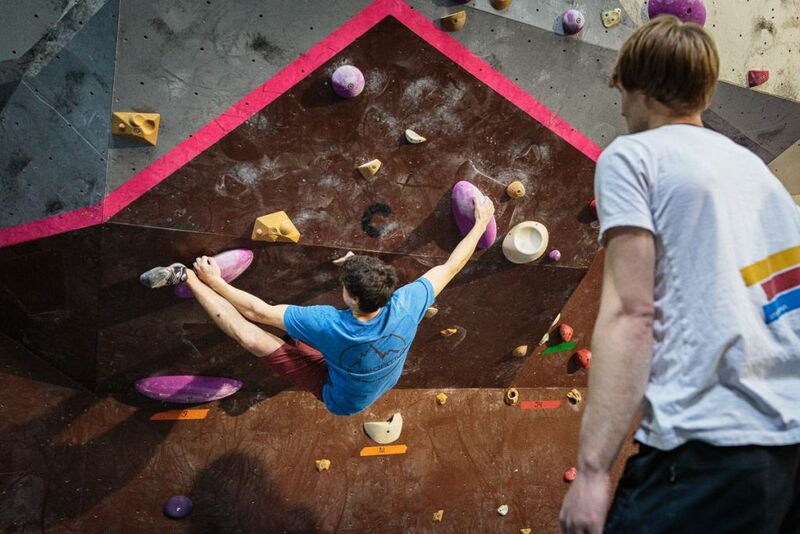 One in which climbers would score points at each stop for an overall title in the end. 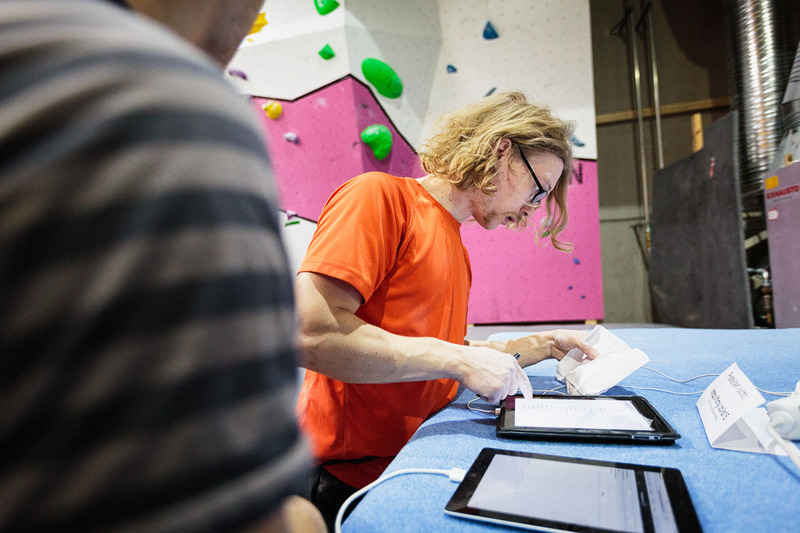 It would add another dimension to the whole indoor climbing season”, Sievänen explains. First he sent an email to the owners of all 11 major gyms. Then started calling around, fixing details. 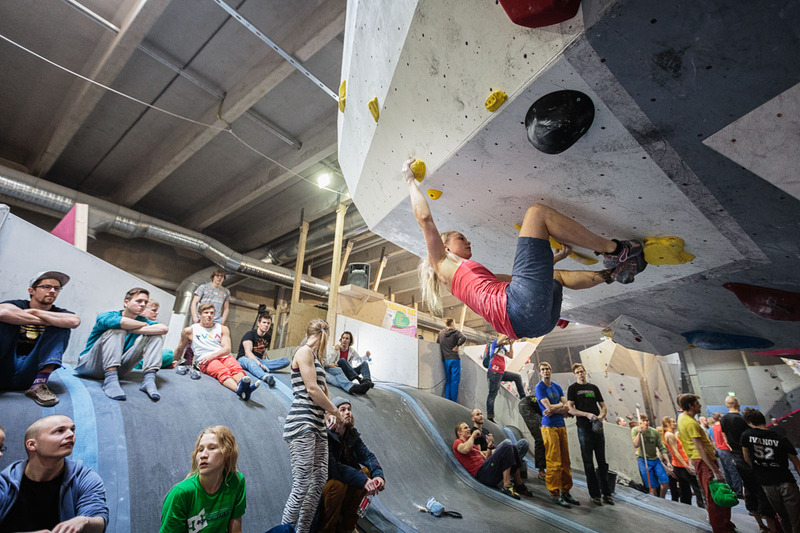 And when everybody agreed, they had established what’s called now The Finnish Boulder League, a series of open bouldering competitions, with money on the line for the best of the bunch. Not just gear and fame but cold cash as well! The league is very home-grown, as Jarmo Annunen of the Boulder Center Helsinki has even programmed the score system. His clever idea and algorithm consider the entire tour, each ascent of every competition, and applies it’s magic to output the overall results. The basic principle is that each route has a full 100 points, which is then divided by the number of top-outs; thus a single send scores 100 points, and if 10 climbers reach the top, they score 10 points each. 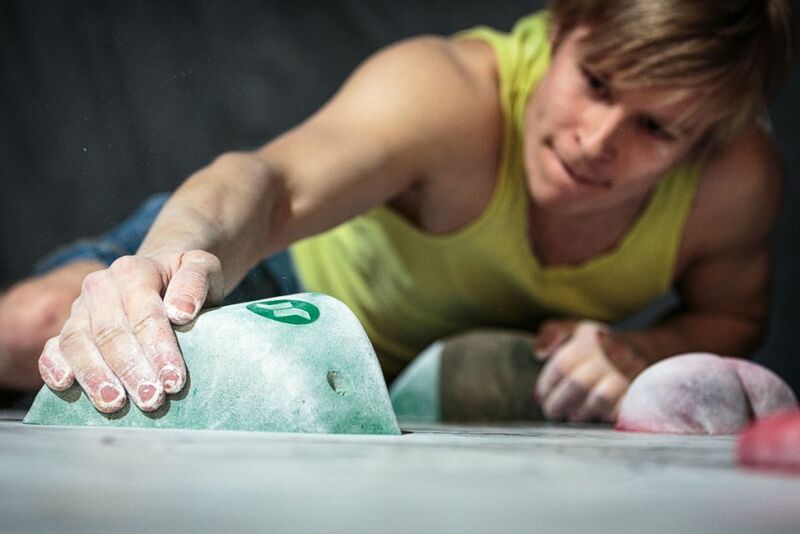 Osmo Aspi reaching for Kitka’s small granite volume in the Boulder League comp in Oulu. Already in it’s first season, the league turned out to be very popular, events selling out well in advance with around 100 – 200 participants at each stop. ”We agreed on the start fees, the scoring system, and the online stream together. Other than that, each gym takes care of the events in their own style”, Sievänen elaborates. 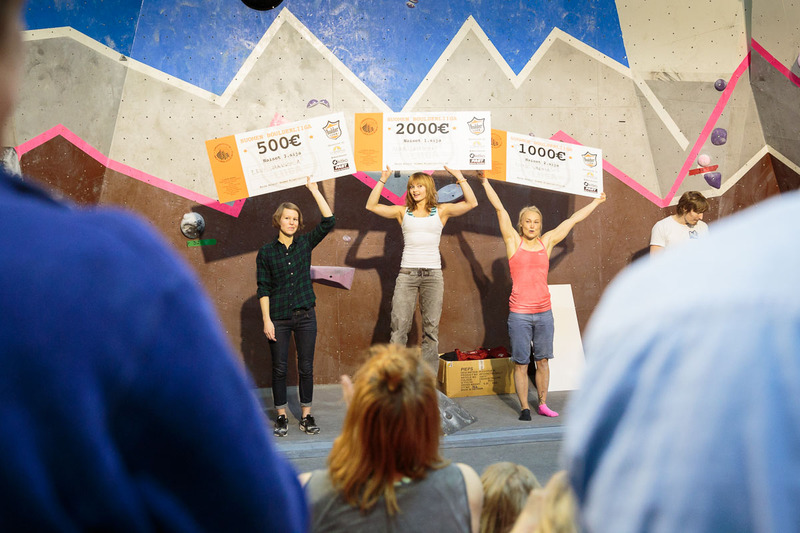 Anna Laitinen, winner of the stop in Oulu. 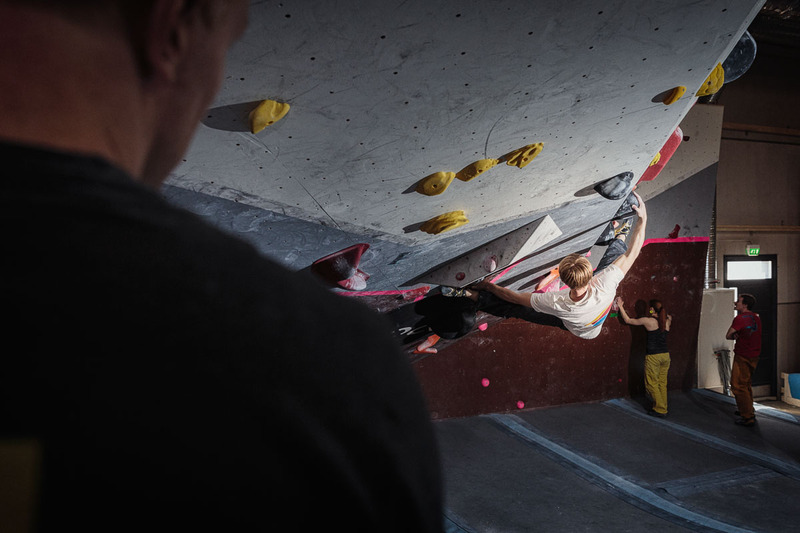 The guest star Nalle Hukkataival follows, as Anthony Gullsten cranks it up in the Boulder League finals in Helsinki. Nalle himself en route in Helsinki. 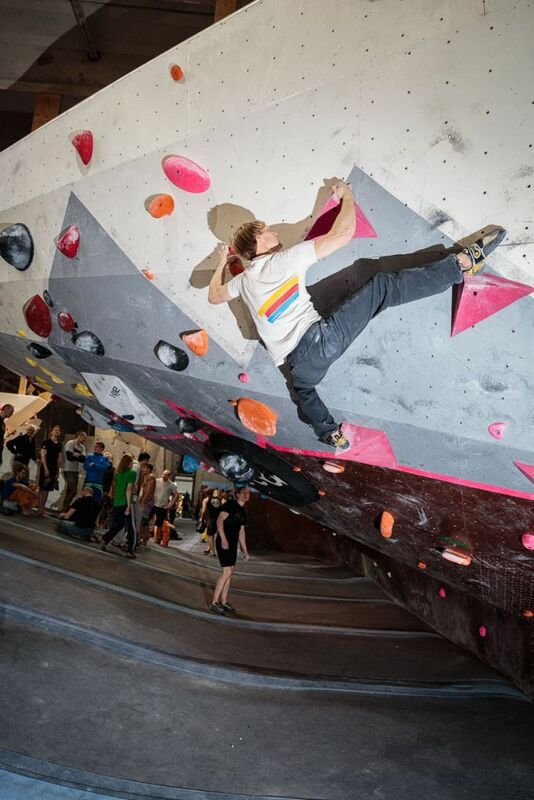 The Boulder League was put together quickly, yet they managed to get a few sponsors onboard. The major input comes still from the gym owners. Sievänen believes that in the coming seasons, more sponsors may well join the ride – especially if the number of attendees remains high and the popularity of the online stream keeps growing. ”We’re already quite well known. 11 events, each with a hundred or more competitors. And then we have the crowds online at home following the webcast”, Sievänen lists. 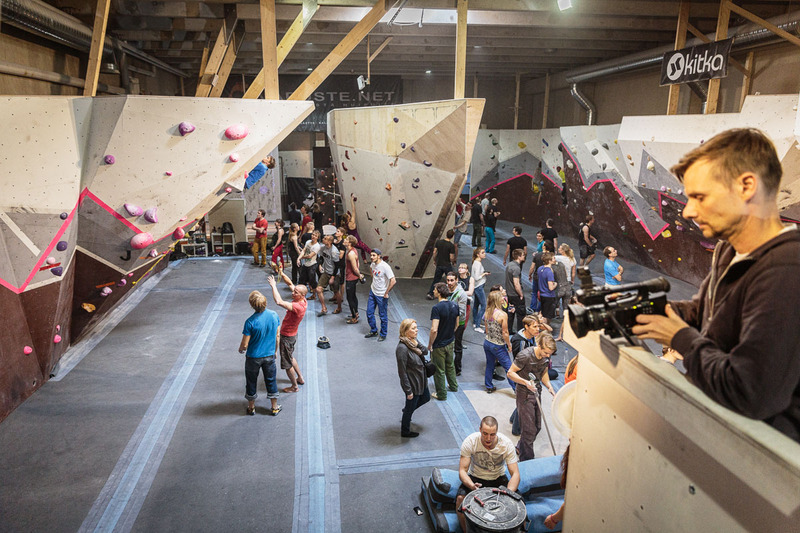 The league has already got a bit of international flavour, with the stop in the brand new climbing arena Roniministerium in Tallinn, Estonia, and the organisers talk about expanding in other directions as well. ”Yeah I already told Jarmo that some kind of Nordic Boulder League should be possible if we started to co-operate more cross the borders”, Sievänen concludes. 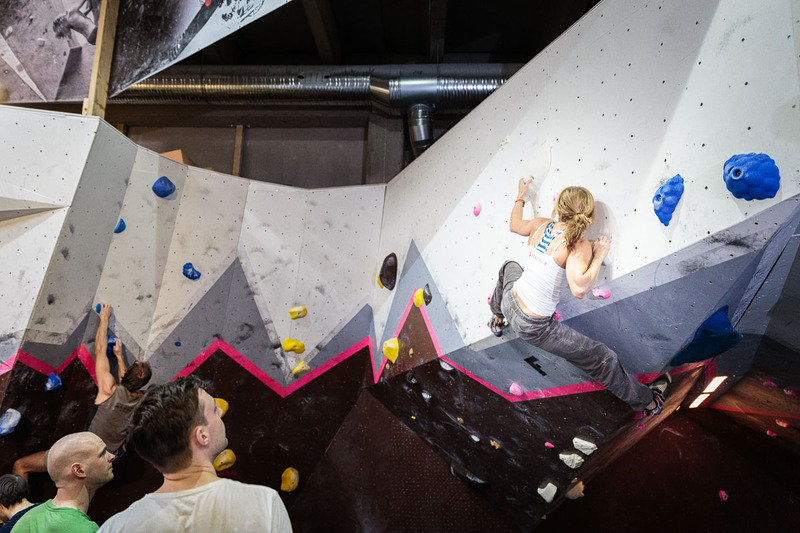 Also we at Kitka Climbing collaborated with the newly found league and were happy about the media coverage in Finland. Event organisers in Austria and Germany, shoot an email to the address jouni@kitkaclimbing.com and let’s talk about your plans (in English or German). 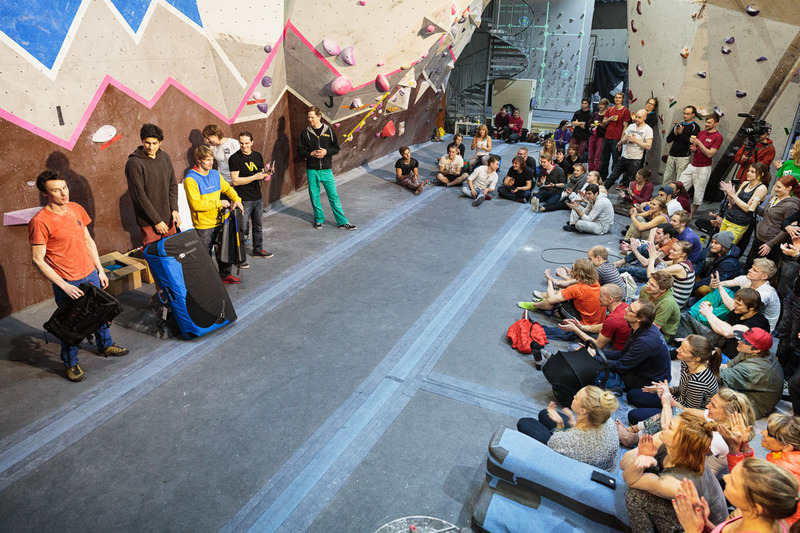 It could be a climbing comp, just a chill no-scores boulder night with nice tunes, or whatever you’ve desired to do. We bring holds, cameras, and that little bit of extra stoke that gets you going. 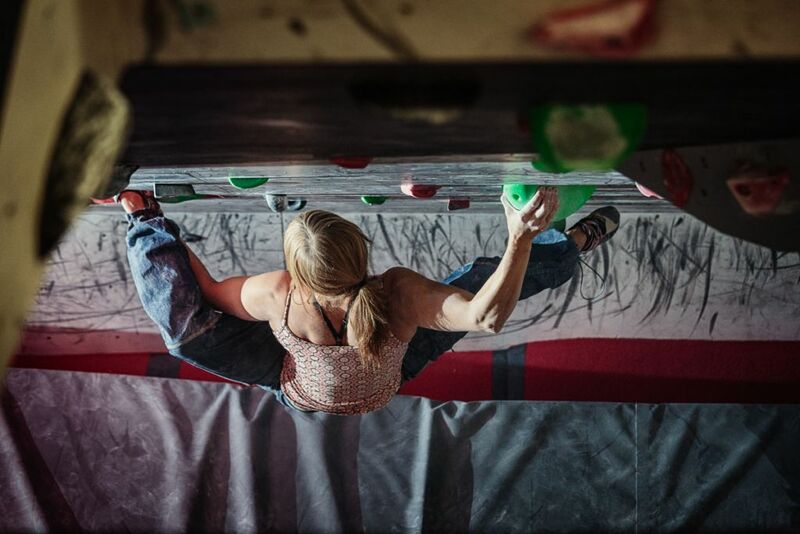 Event organisers in other countries, your point of contact is our favourite address: sales@kitkaclimbing.com (but don’t let the address fool you, we’re there not only to sell but to collaborate as well). 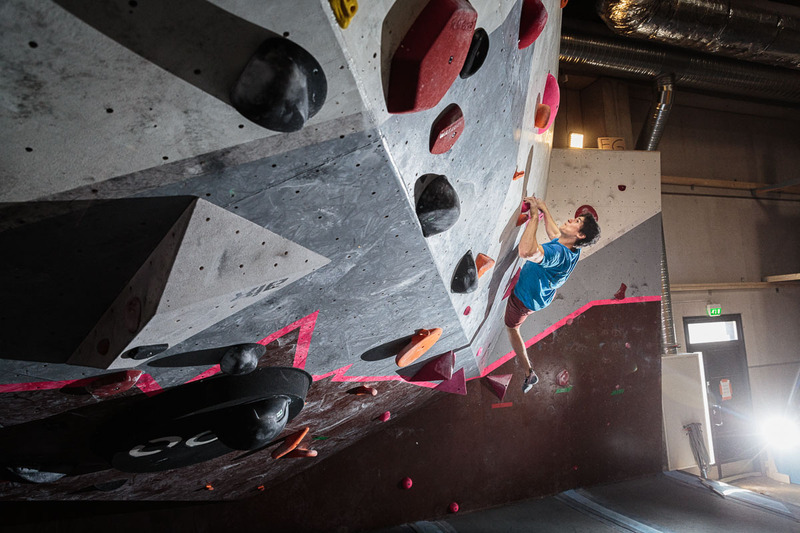 Left in the image, the route setter of the Boulder League finals Griffin Whiteside, whose thoughts we’ll cover in our next blog update. 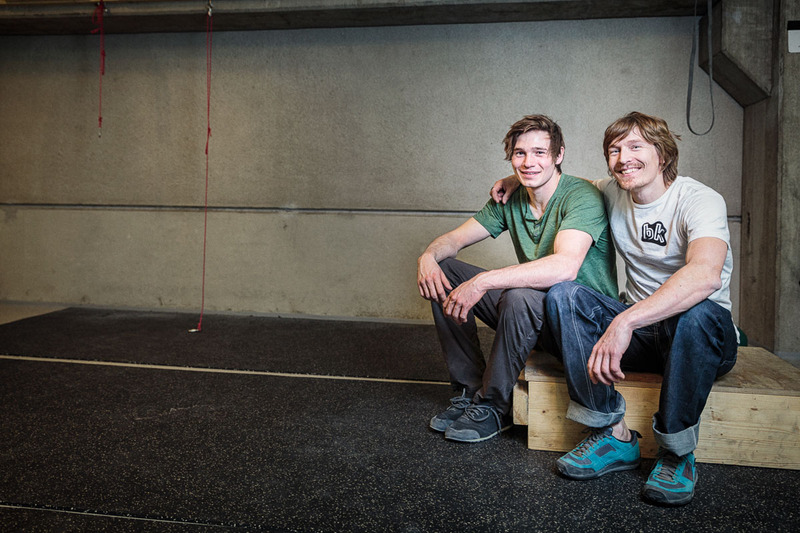 The one on the right, Jarmo Annunen, runs three climbing gyms in Helsinki and hosted the finals at his BK Isatis.